THIS ITEM IS NOT AVAILABLE AT PRESENT. WE WILL NOT BE GETTING ANYMORE Batman The Animated Series Batman Expressions Pack. From the Batman The Animated Series collection by DC Collectibles. Batman The Animated Series Batman Expressions Pack. These 6 inch scale action figures feature a range of 10 to 12 points of articulation - depending on the character. 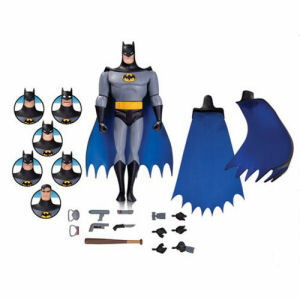 DC Collectibles Batman Action Figures shipping from Canada. No Surprise Border fees or Customs!